Washington, DC (November 10, 2016) Interior Designer Barbara Best-Santos recently joined ForrestPerkins as Associate Principal to lead the ForrestPerkins’ San Francisco studio after eight years as a hospitality practice area leader for Gensler’s San Francisco office. Ms. Best-Santos brings more than 20 years of experience with boutique and large-scale hotels, spas, restaurants, and resorts. Prior to joining Gensler in 2008, she directed her own firm, Best-Santos Studio, for 10 years. Ms. Best-Santos has worked extensively on hospitality projects in the United States and abroad, including locations such as China, Russia, Japan, Malaysia, Indonesia, and Guam. “Joining ForrestPerkins allows me to bring all of my experience to a thriving interiors group with an eye on expansion of practice area offerings and a more global presence,” Barbara Best-Santos says. “Barbara has the ability to bring unique designs to life while collaborating closely with clients to achieve aesthetic, financial, and operational success. 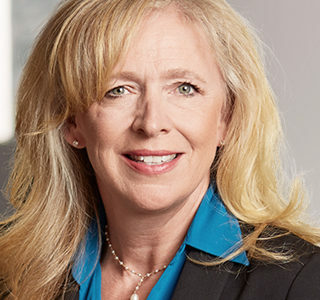 There is great enthusiasm and respect for Barbara and we are pleased that she has joined ForrestPerkins as we continue to grow our West Coast presence,” says Deborah Lloyd Forrest, FASID, ISHC, President of ForrestPerkins. Ms. Best-Santos has designed projects for hospitality brands including The Four Seasons, Hyatt, Marriott International, Westin Hotels & Resorts, Kimpton and Fairmont. Her most recent project, The Claremont Hotel & Spa, A Fairmont Hotel, brought new life to the legendary 100-year-old grande dame property in Berkeley, California. Ms. Best-Santos has also designed a number of high profile restaurant concepts including Carlos Santana’s Maria Maria Cantina. Ms. Best-Santos has often been invited as a guest speaker at various hospitality events, including BDNY, NEWH Leadership conferences, and BITAC Luxury. “Knowing that Barbara will lead our San Francisco studio has given me the confidence to return to Dallas and begin focusing on my overarching role across offices, working on strategic projects and initiatives with both ForrestPerkins and Perkins Eastman,” says Bree Dahl, Principal of ForrestPerkins, who has led the Bay Area studio for the last two years. ForrestPerkins merged with international design and architecture firm Perkins Eastman on January 1, 2016, and remains a distinct design studio. ForrestPerkins, founded in 1998, provides the highest quality interior design and architectural services to the owners and operators of luxury and landmark hotels and prestigious multi-residential projects throughout North America and internationally. With design studios in Dallas, TX, San Francisco, CA, Washington, DC, New York, NY, and Dubai, UAE, ForrestPerkins delivers exceptional designs for owners of luxury hotels, resorts, and branded residences with names including St. Regis, Ritz-Carlton, Four Seasons, Fairmont, The Luxury Collection, JW Marriott, Waldorf Astoria, Autograph Collection, and independent luxury properties such as The Jefferson in Washington, DC and the Five Star-Five Diamond Hermitage Hotel in Nashville, TN.